Equine Motor Neuron Disease – rapid onset of trembling, excessive recumbency (leaning or lying down), low head carriage, a constant shifting of weight on the rear legs, and muscle atrophy. Equine degenerative myeloencephalopathy (EDM) – a disease of the spinal cord and brain stem. 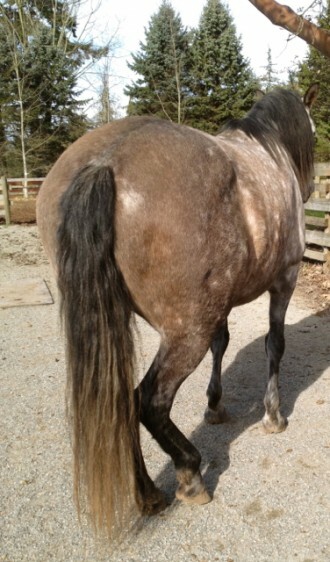 Affected horses show ataxia (incoordination), which occurs early in life and can stabilize or progress to become so severe that the horse must be euthanized. One of my favorite equine nutritionists, Dr. Juliet Getty PhD, recommends a Vitamin E dosage of 1100 IU/day per horse and double that in pregnancy. Yes, this is higher than the Nutritional Research Council’s (NRC) latest 2007 guidelines. But as this 2012 article in the Journal Of Internal Veterinary Medicine and this article from Kentucky Equine Research shows, Vitamin E levels in equines need to get a whole lot higher to prevent related diseases. 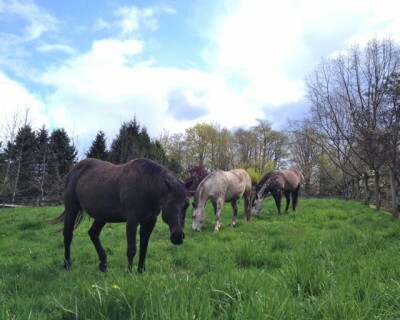 If your horse is pasture-fed on fairly lush, green grass, she can get enough Vitamin E from fresh grass. But if she is hay/forage fed, then you will need to look into whether your horse is receiving enough Vitamin E and whether it’s in a form the horse can actually utilize. Remember, supplement manufacturers (for both humans and equines) are free to offer you pretty much anything as long as they disclose it on the label. So, many brands contain synthetic Vitamin E, even though the brand name contains the word “natural”, e.g. Sundown Naturals. The natural forms of Vitamin E – which is the only form the horse can utilize fully – are often called D-alpha Tocopherol, d-alpha tocopheryl succinate, mixed tocopherols and tocotrienols, and d-gamma, delta, beta tocopherol. The “D” denotes that it is the natural form, “DL” indicates it is synthetic. A Japanese study showed it takes 3 times the amount of synthetic Vitamin to raise blood serum levels to the same point as Natural Vitamin E.
Natural vitamin E is usually stated as the ‘d’ form or RRR- (for example d-alpha tocopheryl acetate or RRR-alpha-tocopheryl acetate). Synthetic vitamin E will have an ‘l’ after the ‘d’ or ‘all-rac’ (for example, dl-alpha tocopheryl acetate or all-rac-alpha-tocopheryl acetate). Remember – ‘dl’ or ‘all rac’ signifies synthetic vitamin E, whereas ‘d’ or ‘RRR’ signifies natural vitamin E.
Remember, if you are giving 1000 IU of natural Vitamin E, it requires 2000-3000 IU of synthetic Vitamin E to accomplish the same result. So although synthetic Vit. E may appear to be cheaper, it probably isn’t! Vitamin E is a fat-soluble vitamin that is easily damaged by heat, exposure to light, or oxygen – which is why hay will not provide sufficient Vitamin E. Likewise, extruded grains (if your feed comes in pellet form it is probably an extruded grain) are processed at heat levels which denature Vitamin E. So you need to get both the correct form of Vit. E and the correct delivery system. One of the posters in the forum I mentioned above experienced these difficulties until she bought this Nano-E product from Kentucky Equine. It is definitely a good product, but it’s cost is pretty steep: 112 servings for $77. So I set out to find a liquid Vitamin E that could be top-dressed onto feed or fresh veggies, containing only natural Vit. E, for a more reasonable price. However, the problem with liquid Vit. E supplements is they all contain a really low dosage amount – most seem to be formulated to be applied topically to the skin. Then I came across ‘dry’ Vit. E! This is Vitamin E in powder form, so you can just open the capsules (400 IU per capsule – not gelcaps!) and sprinkle on your horse’s feed. So 3 capsules will give a 1200 IU dose. This led to a couple of options: NOW Foods Vegetarian Dry E-400 at $13 for 100 capsules, that works out to 33 servings (at 1200 IU). Two bottles would give you 66 servings for $26 – which is 40% cheaper than the Nano-E. The powder has a benign smell and taste, so the horses don’t even know it’s there and the only other ingredients are magnesium stearate, silica and vegetable cellulose. Or you can purchase Bulk Supplements Vitamin E Powder (so no capsules to open). A slightly rounded 1/2 tsp would give you the 1100 IU dose. So if you purchase the 100 gram size, that works out to 66 servings for $18 – even cheaper! The other ingredient in this product is cornstarch, which should give it a bit of sweetness to make it more palatable and the product is listed as GMO-free (but it is not Certified Non-GMO). I also tested giving the Vitamin E gelcaps to my herd. Funnily enough, they would not eat the oblong-shaped gelcaps, but they all ate the more rounded gelcaps I purchased from Natural Factors – these also had less of a smell to them than the oblong ones I purchased from Carlson, so that may have played a role. These cost $25 for 80 servings (3 gelcaps per serving) so still way cheaper than the Nano-E, but a little more expensive than both brands of the Dry Vitamin E powders. 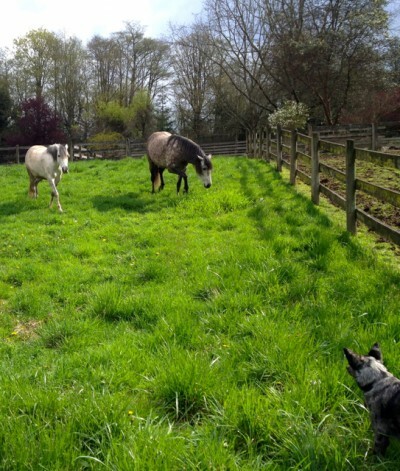 Reduce dosage accordingly if your horse has some access to fresh grass, or discontinue during summer months if your horse has free access to good pasture. Dr. Getty says there is no known toxicity level for Vitamin E and up to 17 IU per kg of horse weight is used for treating disorders (e.g. 1100 lb horse = 8,500 IU/day). Alternatively, if you are looking for a great anti-inflammatory or workout recovery supplement, then you could use Purica’s Recovery EQ which contains 750 IU of Vitamin E per serving (add 1 capsule – 400 IU of dry Vit. E if needed). Along with the other helpful ingredients, it also contains 525 mg of magnesium – which is nature’s muscle relaxant. My local health store owner told me that people order this product for their own use – as the equine version is much cheaper than the human version! You will also frequently see supplements for horses that combine Vit. E with Selenium as these are usually the culprits in movement, balance and performance issues in horses. However, as many feeds come with selenium included, you need to be careful about checking amounts across all supplements to make sure you are not overdosing on selenium. Maximum selenium dosage ranges from 1.26 mg – 5 mg per day; depending on activity level of horse. If you have a stalled horse with limited turn-out each day, or turn-out only into a paddock, then I really encourage you to purchase Dr. Getty’s book, Feed Your Horse Like A Horse, and spend the time making sure your horse is receiving everything he needs, and not being overdosed on anything either – as both ends of the spectrum can lead to serious health, mobility and pain issues. Is it possible for a magnesium supplement to cause neurological problems in horses? I have mare that I have tried on mvp magnesium 5000 twice and both times she became stiff and uncoordinated. Just wondering if anyone else has experienced this. 2. ‘magnesium proteinate’ – this is magnesium bound/chelated with amino acids. But we don’t know which aminos and while this is unlikely to have an adverse effect, it is an unknown. I would test giving your mare JUST straight magnesium and see if she still has the same reaction. If she does, then the other thought that occurs to me is something Dr. Carolyn Dean MD ND says: That when people who are severely magnesium deficient start taking magnesium they can get a bit of kickback – maybe muscle cramps or headaches (for example) intensify for a bit. You just scale back a bit and proceed a bit slower until you can ramp up to full dosage. I’d be interested to hear if anyone else has any ideas?